To create this suite, we hand painted watercolor washes before creating a digital print for each pieces. 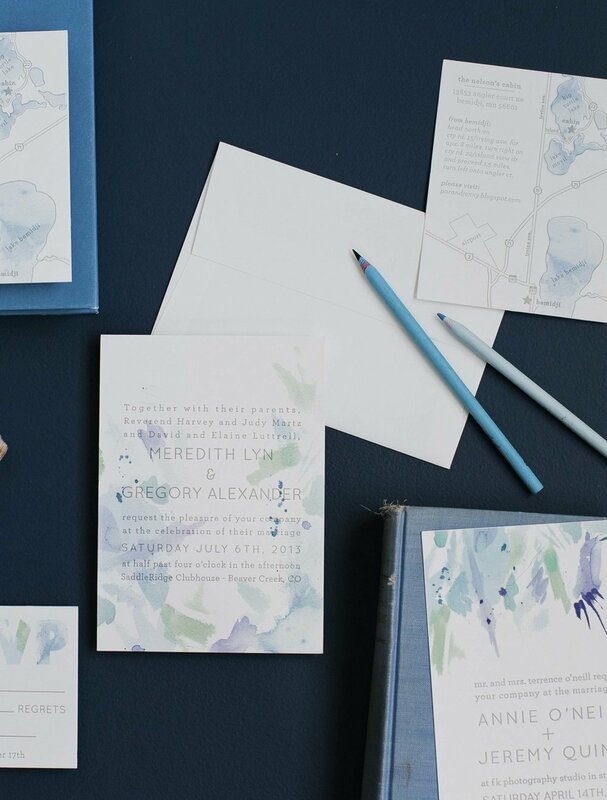 We took the watercolor pieces and printed over with 1-color letterpress to create depth and texture. In addition to the invitation design, we created a custom map for the couple to include for their guests. This suite can be easily re-created in other color combos to compliment your wedding. You can see some examples of other watercolor washes here and here.